Will SCOTUS Reconsider the Feres Doctrine? 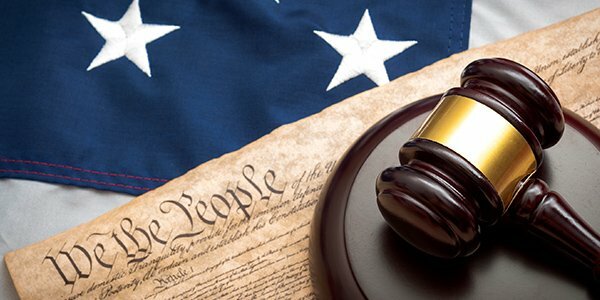 A recently filed petition for certiorari is asking the High Court to take up the Feres Doctrine and correct the judicial doctrine that has been the cause of so much heartache for U.S. service members and their families. The case involves a married couple that were both in the armed services. Unfortunately, during childbirth at a military hospital in Washington state, Rebekah Daniel died. Her husband couldn't get answers as to what happened, and in turn, filed a lawsuit alleging medical malpractice. However, the Feres Doctrine was relied upon to dismiss his case at the district court level, and the Ninth Circuit upheld the dismissals. The Feres Doctrine, in short, is a catch 22 to the Federal Tort Claims Act that applies to service-members and basically says they don't have the same rights under the FTCA. Any injury or harm that results to a service member or their family as a result of active service cannot be claimed under the FTCA under the Feres Doctrine. Curiously, somehow injuries like a child-birth gone wrong, or other injuries sustained at a military hospital, fall under the wide umbrella of what is considered a result of active service. SCOTUS hasn't taken the issue up for since the late 1980s, and even then, Justice Scalia was more than critical of the doctrine, calling for its overruling. But it didn't happen then, and critics aren't very hopeful that it will happen now, even if the Daniel case is accepted.